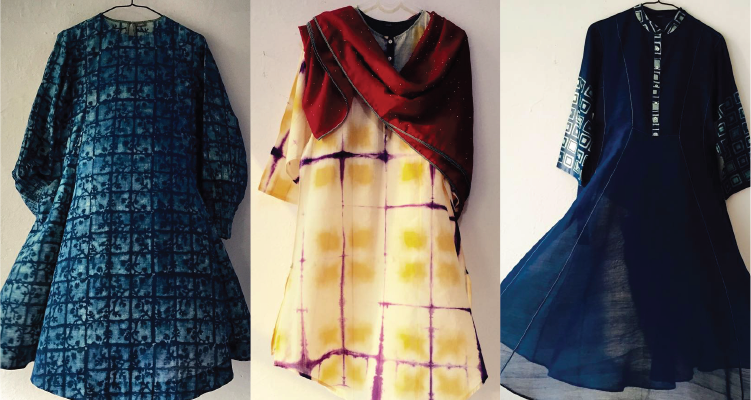 Spruce up those old Indian handlooms into something fashionable and chic! 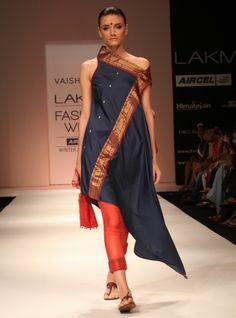 Cotton sarees to jute and khadi kameezes, what do you do when they are out of style and fashion? Donate it probably for someone else to wear- good thought, or you could upscale them into pretty prêt-a-porter fashion statements and home décor or accessories and still flash your style file to the world! Here are seven easy weasy ways to upscale Indian handlooms to make a statement so stylish, even your besties would be envious of you! 1. Chic jute pants for summer wear: If you’ve been wondering what to do with the old jute bottoms that were once worn with a plethora of tops and kurtis, here’s your answer. With the help of your tailor, convert the bottoms into casual trousers and pair them up with cotton shirts for a night out with the girls or maybe to college. 2. Let’s go Khadi: Khadi is an indigenous fabric and one that suits the Indian climes the most, apart from cotton. If you have an old Khadi salwaar top that isn’t worn too much nowadays, you can upscale the humble ensemble into a chic summer jacket. Pair the jacket with formal trousers or palazzo pants, and a new look would come through. 3. Kanjeevaram silk skirts: Grandma and ma didn’t want to give away those beautiful Kanjeevaram sarees to anyone, but you. And if you aren’t fancying wearing them anytime ever, you could still cherish the family heirloom and fabric. Converting the sarees into long flowing skirts that can be worn with matte toned tops or cropped tank tops, would make a nice fashion statement, don’t you think? 4. Benarasi sarees into cropped kurtis: Wondering what to do with the old Benarasi sarees at home? Since Navratri is round the corner, and you would be shopping, you can with the help of your tailor crop the saree into an off-shoulder top, to match it with a pair of leggings for the evening parties. 5. 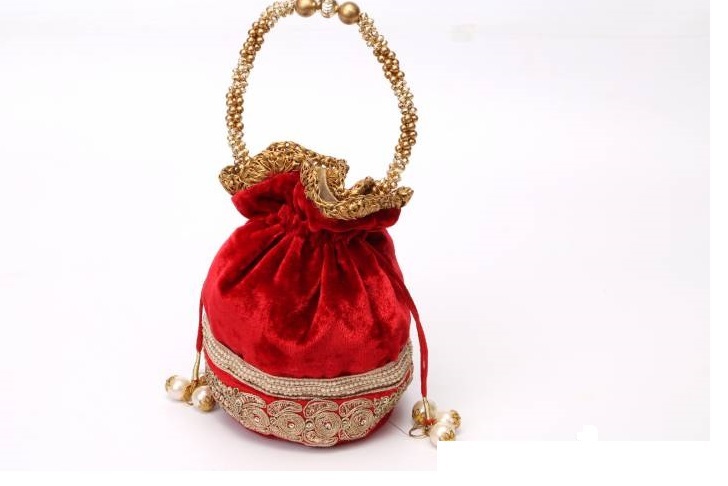 Potlis made at home: You don’t have to carry a western clutch to the Navratri nights or the dinner parties around, not when you can convert an old silk garment into a chic potli. Embellish the corners with chic ethnic embroidery and lace, and you have an upscale Indian touch to the old silk garment. 6. Home décor with Indian handlooms: From lamp shades to embellishments for the coffee table, with old Indian handloom based garments at home, you could bring in more color and desi vibrant touches to the mise-en-scene around. 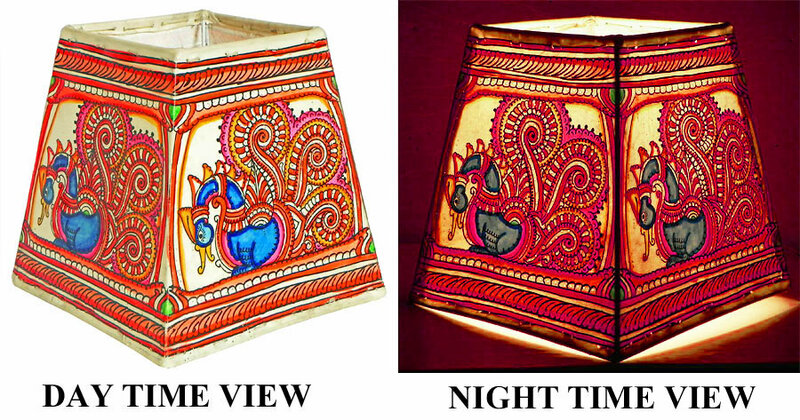 Remove the old casing of the lampshade by the study table or the dining room, replacing it with silk or cotton fabrics from an old saree! 7. Make gypsy bags from cotton and jute leftovers: If you have leftovers from cotton and jute fabrics, and don’t know how else to upscale them and reuse, you could think on the lines of the gypsies. 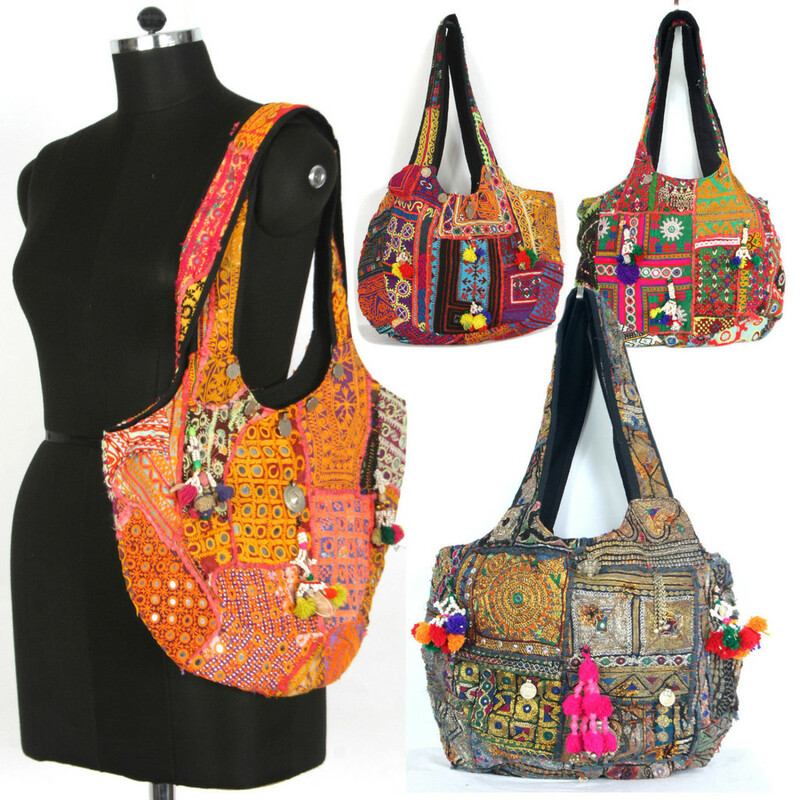 Banjara bags for the college PYT would be an ideal gift to give. Embellish with mirror work, zardozi elements and zari tassels for the ethnic look and chic touch to come through. 8. Table covers from silk sarees: You could string up old silk sarees and convert them into chic table covers for the special evenings. Dining zones can be spruced up with pop of colors doing the same, and this would make the dinner parties a special event too. We do hope you get quirky and very creative after checking out these eight inspirational ways to upscale Indian handlooms for fashion, style and home décor. Create your own space and fashionable haunt today, and do not make the mistake of giving away those old treasured pieces that can be reused.